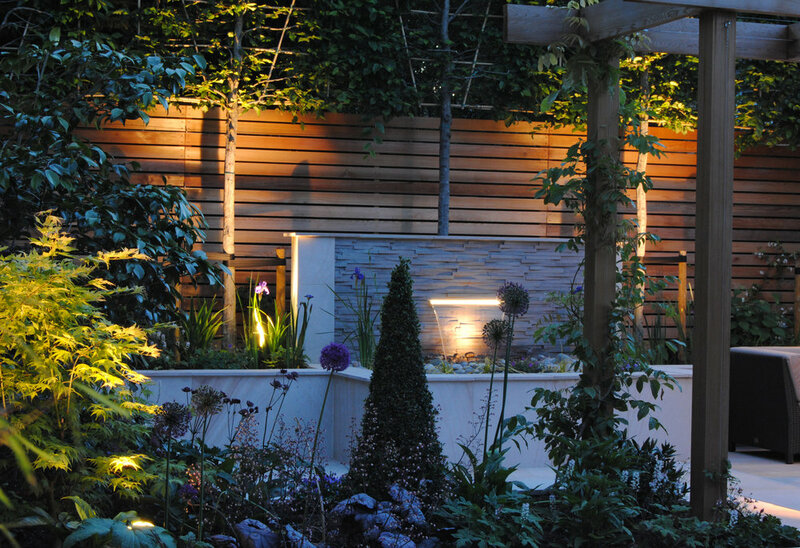 A domestic scheme which may include any/all aspects of landscaping i.e. hard and/or soft. The client’s work is based at home in a contemporary garden office. The brief was to create a modern feel to reflect the office while complementing the overall look of the period property and surroundings. Two main challenges were that the office was sat higher than the existing ground level and there was a slight twist in the length of the garden near to the office. 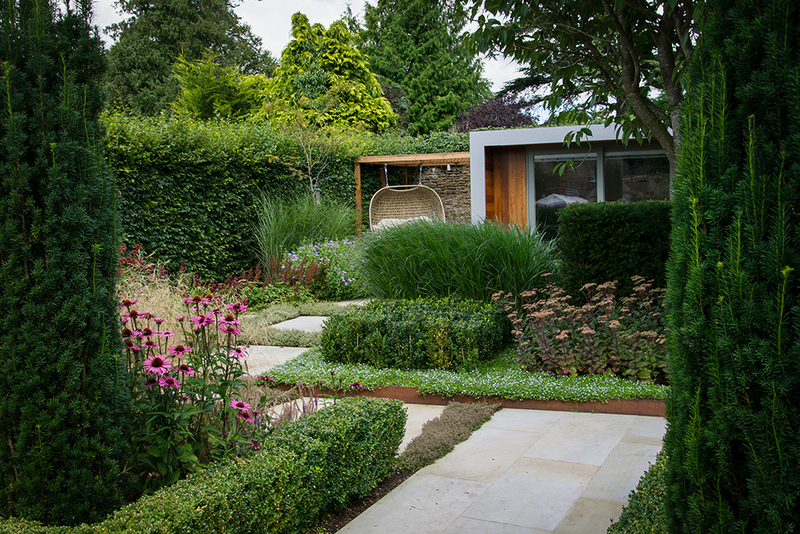 Notable existing features included a box hedge, fastigiate yew and two trees — cherry and birch. 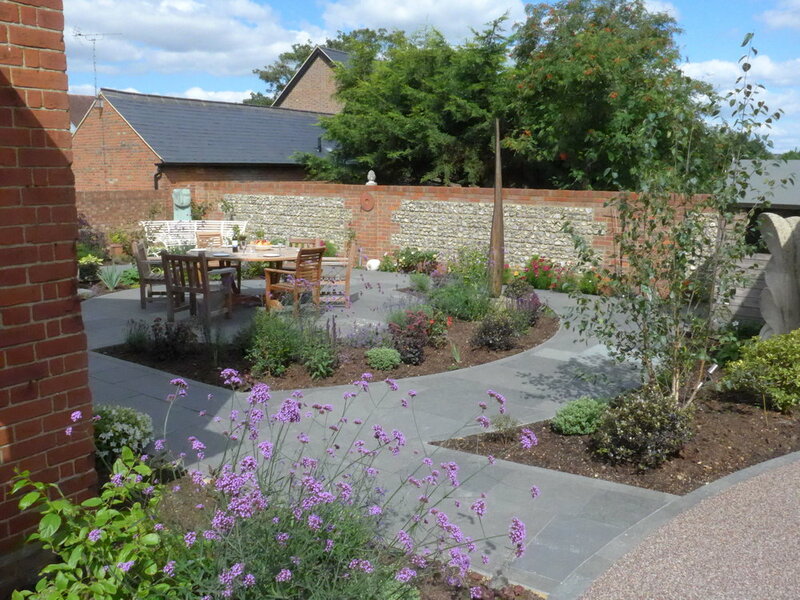 After the design and build was accepted, the client wanted Graduate Gardeners to look at the area outside the cottage. The design and build of this area was also accepted and thus became one larger contract.